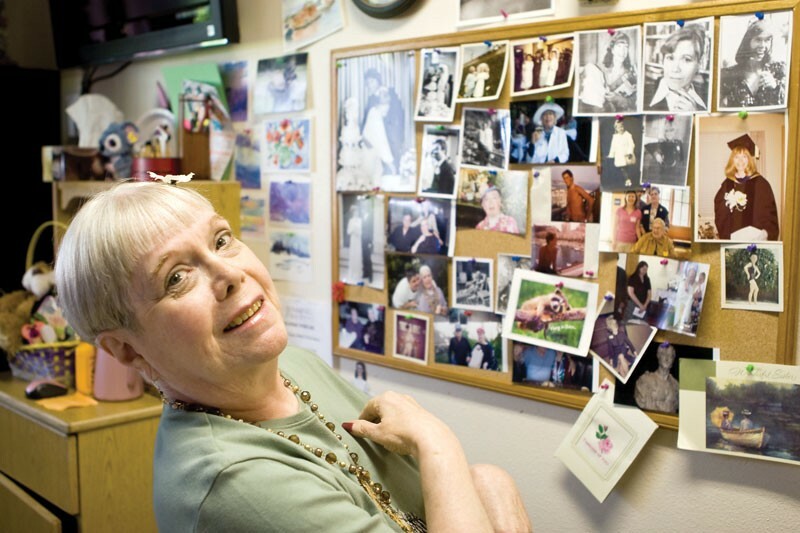 Norma Melone at Royal Park Care Center, with photos from her days as an actress. Now, for Melone, things are going very well. She lives at Royal Park Care Center, her room bright and cheerful, with a wall devoted to mementos from her early acting career. But it’s more than just the decor that’s made a difference. Of course, anyone who has lived in — or visited — more than one care facility for the elderly can tell you there are many differences to be found between the properties. And that, according to Linda Petrie, is why getting involved is so crucial. A visit to a facility is about much more than room size or the types of meals that are served. A great resource for gaining information about a facility is the Washington State Department of Social and Health Services “survey book.” It’s an actual book, kept accessible for public review by all facilities, that details any complaints made about a particular facility, whether or not the state issued a citation and what corrective action was taken by the facility. And the survey book is, really, just a tidbit in the feast of information that’s available to people considering a care facility. Even a cursory look at the websites, the publications and the pamphlets reinforces that “first person” is the best way to go. Matt Fleming, administrator at Royal Park Care Center, strongly advocates that prospective residents and their families do a thorough background check of his, or any other, facility. “People should go to the nursing home,” Fleming says. “See how it feels, how it looks, how it smells. See if the staff’s happy. Go in and look at the survey book.” Fleming, like Petrie, also recommends visiting a facility unannounced. Of course, when there are problems at a facility, they can be a matter of life and death. Last summer, a facility in Spokane was cited for failure to provide some aspects of necessary care to an elderly resident who died just days after being transferred from the facility to a hospital. Fortunately, that is a rare and extreme example of a problem that has happened at a facility. Again, the survey books include any and all complaints. Petrie’s office, which is staffed by a small squad of volunteers, fields calls all the time — whether they’re from people just beginning to look into securing care or from someone calling to complain about a facility. “People can call us anytime,” she says, adding that anyone wanting to volunteer for the ombudsman’s office is always welcome to pick up the phone, too. Choosing a facility is crucially important for the entire family, but, most particularly, for the resident. In Norma Melone’s case, she says a family member in Spokane took the lead in helping to relocate her to the Inland Northwest. It was that extra, personal attention that, Melone says, ended up with her feeling like she’s found not just another “facility” but, rather, a home. In Washington, call 1-866-ENDHARM any time day or night, to report suspected abuse or neglect in any type of care facility. Young can be reached at (208) 667-3179. Federal resources are available at www.medicare.gove/nhcompare as well.